This sweet spot just opened up around the corner from my place on College Street and it is amazing! 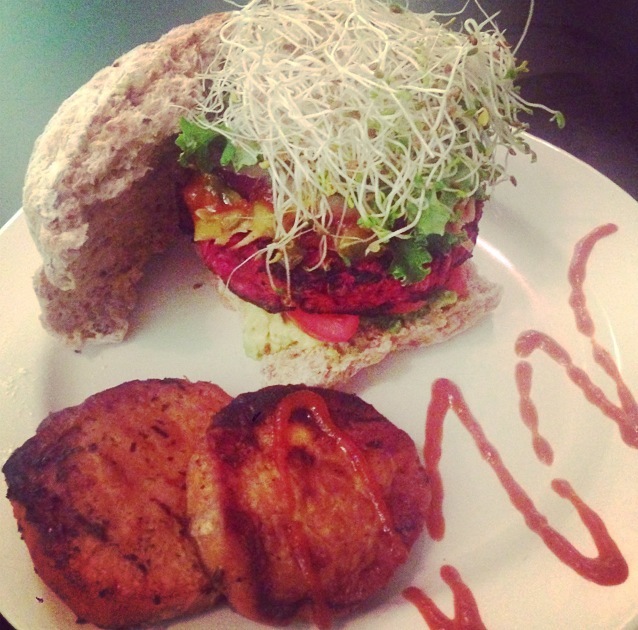 Yamchops is a Vegetarian Butcher shop, the first of its kind and a dream come true for those on a vegan/vegetarian diet or those who are looking to reduce their meat intake. There are so many interesting options that will definitely keep me going back there for more. You must go check it out! Last night for dinner, we had a veggie style BBQ. 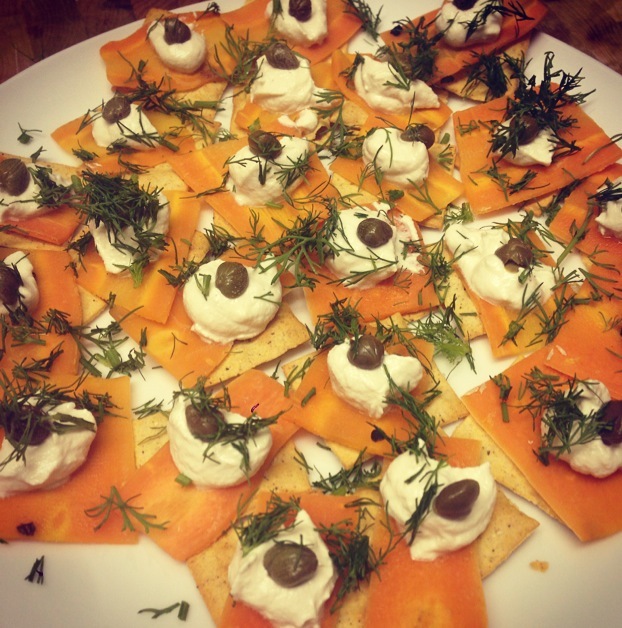 While we were heating up the grill, we served Carrot Lox, made with organic carrots cured in a secret marinade, smoked to a soft texture, and then topped off with cashew sour cream, capers, and dill. It was simple and light and ever so tasty- perfect for a summer evening. 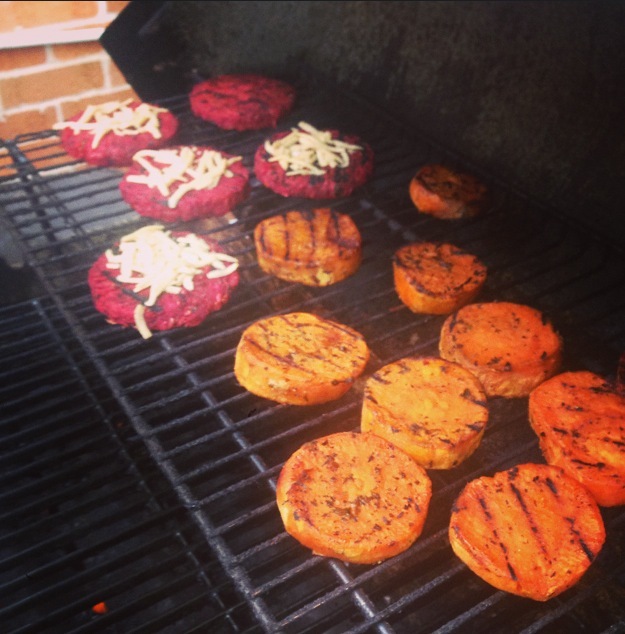 Next, we grilled up Beet Burgers and Yam Chops, which were both out of this world. I love a good veggie burger and my beets, so I am glad someone has finally perfected this concoction, these will definitely be a staple at our BBQ’s from now on. The Yam Chops were sweet and savoury, a great accompaniment to the burger. I can’t wait to return and try some other items- next on the list- No Pork Pulled Pork, Tuna-less Tuna, and No Crab Crab Cakes.